Brisket is usually prepared using a braising method, with a liquid that produces wonderful gravy. I recommend choosing the more flavorful point cut and removing any excess fat from the gravy after cooking if you need to do so. You will need to plan ahead when cooking fresh brisket as it will need a minimum of 2 to 3 hours of cooking in a slow oven (usually 350 degrees F.) Better yet, use a slow cooker, and let it cook all day. Some recipes call for quickly searing the meat before beginning the braising process. It's really a matter of personal preference. Do be sure to place the meat in the pan fat-side up for baking. 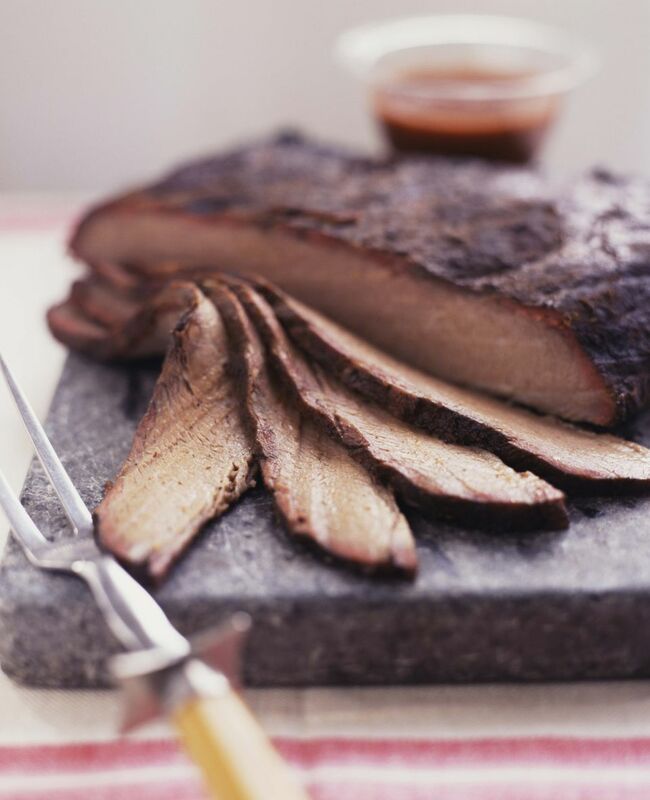 If you are on a low-fat diet, resist removing the fat until after the brisket is done cooking. The fat not only releases flavor, it also protects the brisket from drying out on top. The texture of brisket requires slicing across the grain through the long fibers into thin slices. Slice it any other way and you may chew longer, but the flavor will still be great. • What is Corned Beef Brisket?